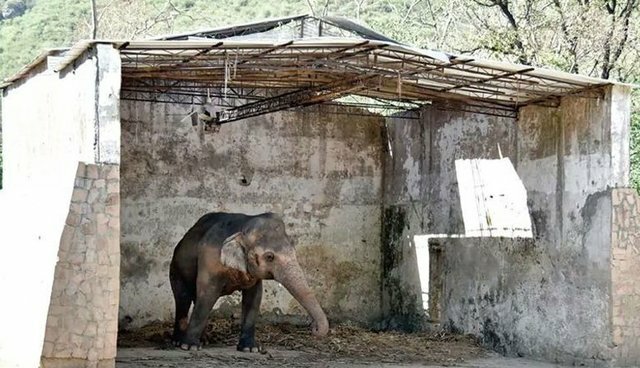 Kaavan, a 32-year-old Asian elephant, has spent his whole life in a bare enclosure at the Murghazar Zoo in Islamabad, Pakistan, with only a ramshackle metal hut for shade. For most of his life, he had been chained up, unable to move more than a few steps. 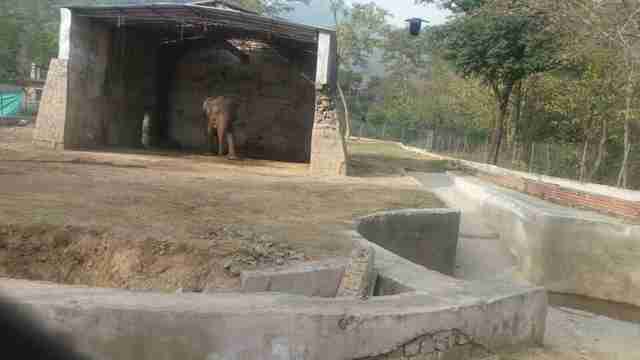 But things started to change for Kaavan in September 2015. After global outcry, animal activists finally won the fight to unshackle him so he could walk around his enclosure. 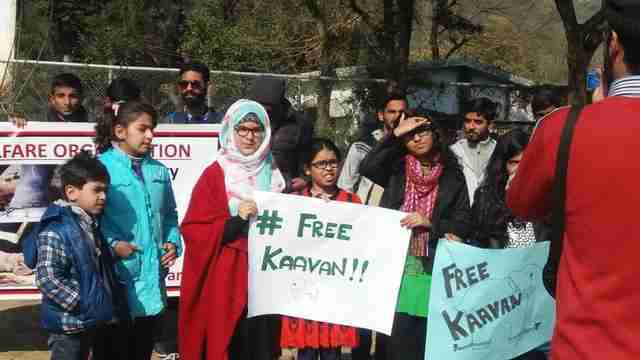 Kaavan's supporters haven't stopped there. They're fighting to move him to a sanctuary in Myanmar, where he can be around other elephants. But Kaavan's plight could have just as easily gone unnoticed, except that a woman named Samar Khan happened to be visiting her family in Pakistan from the U.S. last summer. 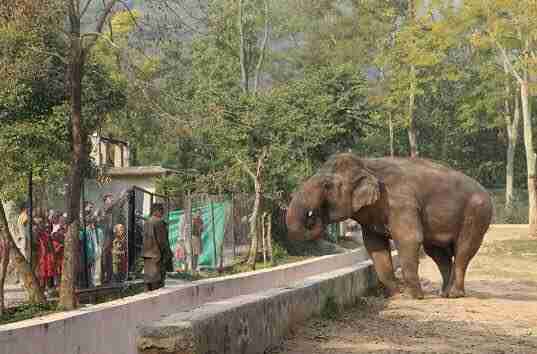 After Khan learned that the elephant in the Islamabad zoo had been chained for 28 years, she knew she had to do something. She went to see Kaavan and wrote about what she observed. "His legs were chained up to limit where he could move in his enclosure," Khan wrote in the petition. 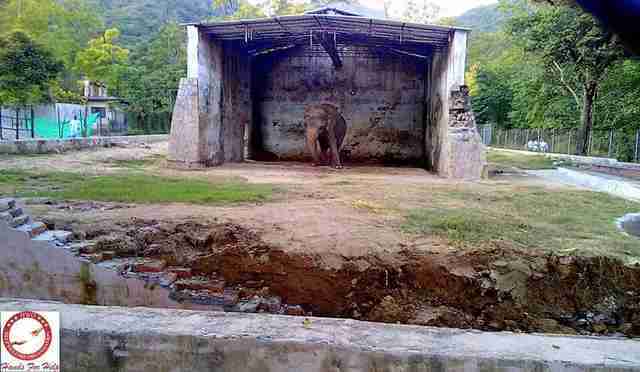 "But that didn't seem to matter because for the entire time I was there Kaavan didn't move. The only thing that moved was his head, as it bobbed repetitively from right and left, a behavior known as 'weaving' which elephants adopt in response to stress and depression." Today, the petition has over 400,000 signatures. "I had no idea that the petition would go viral but I wanted to use the huge number of Kaavan's fans for a force for good," Khan told The Dodo. "So I started this Facebook page and using it we were able to recruit a team of volunteers who help out on the ground in Islamabad. We also have so many amazing foreign supporters who have come out and internationally protested to help Kaavan." The local volunteers on the ground visit Kaavan regularly to check on him and feed him healthy food. When they see that his keepers have chained up Kaavan, they rally to unchain him yet again. "He recognizes them and always ambles over to say hi when he sees them," Khan said. 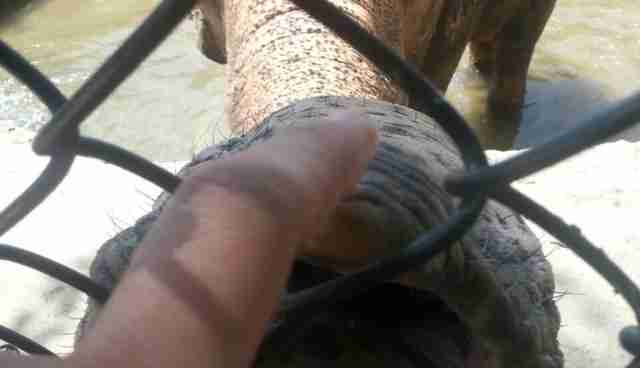 When children feed Kaavan bananas, he very gently accepts the fruit from their hands. "It's so inspiring to see that even after all the hurt he has suffered, Kaavan still has so much love left to give," Khan observed on Facebook. In January, real discussions about possibly moving Kaavan took place between Myanmar authorities and organizations in Pakistan, according to Four Paws International, which has been helping Khan and her group to find a spot in an animal sanctuary in Myanmar. "It is clear the animal suffers in a tiny enclosure in deplorable conditions," Four Paws International told The Dodo in a statement. 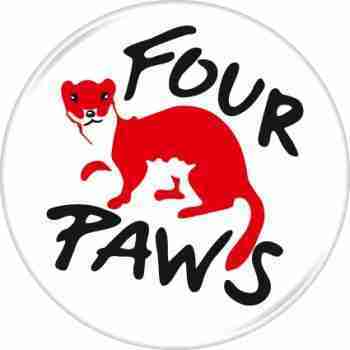 "Four Paws believes that all animals should be treated with respect and dignity ... Elephants are especially active, highly intelligent and sociable creatures ... [W]e urge the Murghazar Zoo and the Pakistani authorities to raise the standard of care for Kavaan or arrange for the elephant to spend the rest of his life in an accredited elephant sanctuary." Khan added: "We have a lot of work to do, but it's amazing how one elephant has really helped the nation realize the importance of animal welfare ... Kaavan's campaign has gotten bigger than we ever imagined." 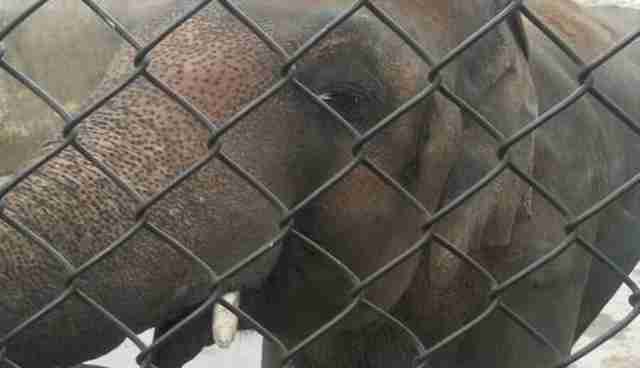 Even celebrities have started taking an interest in Kaavan's freedom. And recently a woman named Faryal Gauhar, the head of a team speaking for Kaavan, was invited to Pakistan's Parliament to speak about Kaavan's plight. Kaavan supporters are calling the move a "huge step forward for animal welfare in Pakistan." The Dodo will continue to follow Kaavan's story. Click here to add your name to the petition, and click here to follow Kaavan's supporters on Facebook.